Here is the first image ever beamed back to earth by SPOT 5 just 3 days after its launch into space on May 7, 2002. 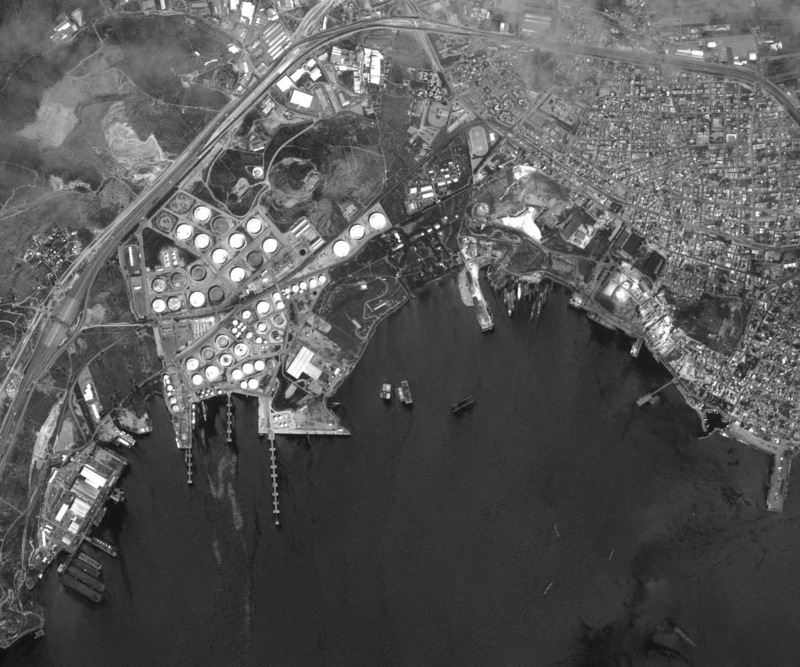 This is a 2.5-meter panchromatic image of Eleusis Harbor, Greece. © CNES 2015, Distribution Airbus Defense and Space / Spot Image S.A., France, all rights reserved.